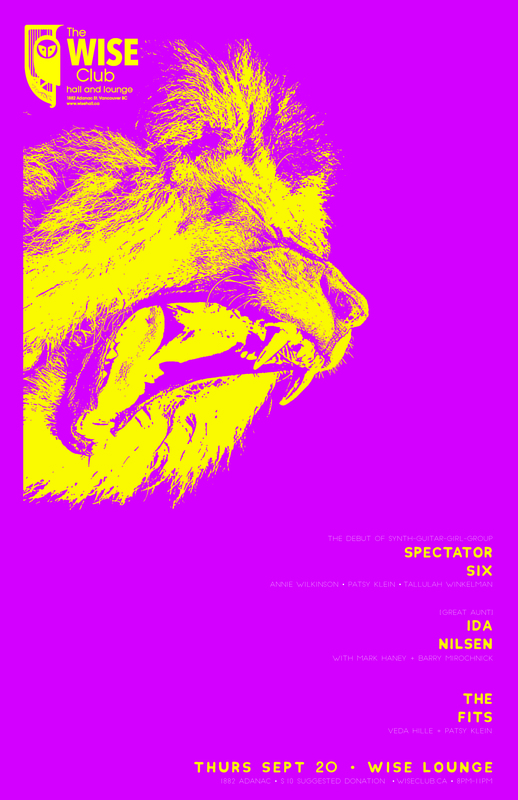 The debut of Spectator Six! A new project from Annie Wilkinson, Patsy Klein and Tallulah Winkelman, Spectator Six brings back the sounds of 80’s new wave, topping spunky beats with cool synths, guitars, and girl-group harmonies. Preceded by Ida Nilsen with Mark Haney (double bass) and Barry Mirochnick (drums). Ida Nilsen is a Canadian pianist, singer and songwriter. She led the band “Great Aunt Ida” from 2002 until 2013, releasing three albums of original material. Influenced by classic songs from a variety of genres, her writing has been called intimate and honest, warm and spare, and bordering on misanthropic. Vaudeville duets with P. Kleinenstein and V. Hilleovich.